Before you throw it out, think of different ways you can use that item. Look at the T0p 5 Recycled Art Projects that you created and selected as the best! 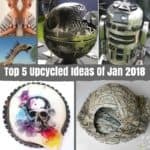 Find inspiration in the Top 5 Recycled Art Projects that YOU created! Thank you for the many years of support and the astounding projects you all create! We can't wait to see what you make in 2018! 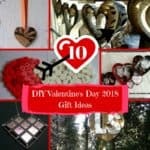 #1: Turn magazines into a stunning vase! 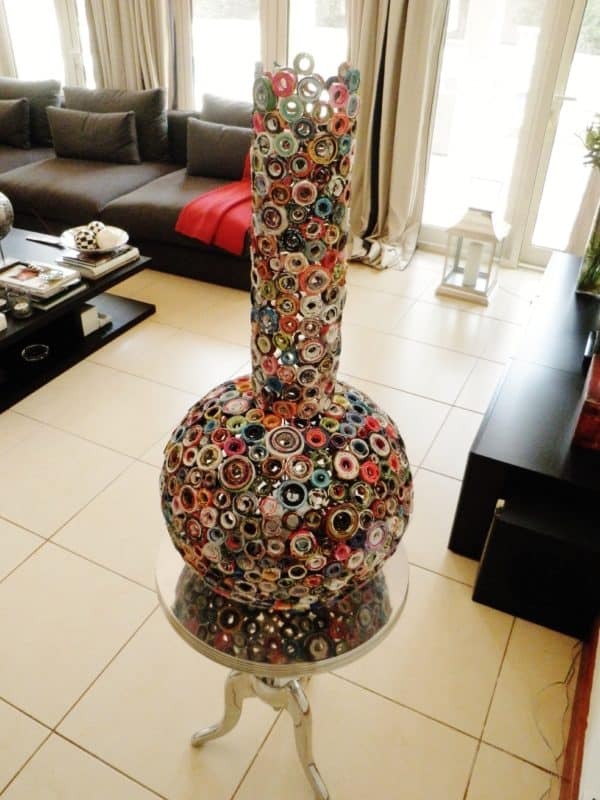 This outrageous vase was created using upcycled paper products. Old magazines transform into a stunning focal piece for any room of the house. 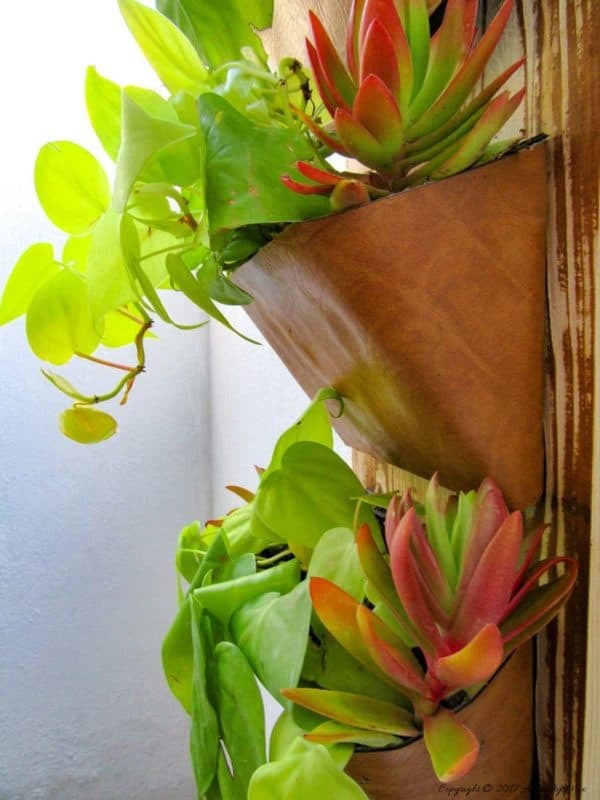 #2: Turn your old DVD cases into a unique Vertical Planter! DVD cases are the base of this cute planter idea! 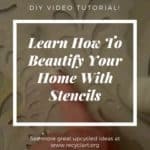 #3: Turn Pallet Wood into a Stylish Coat Rack! 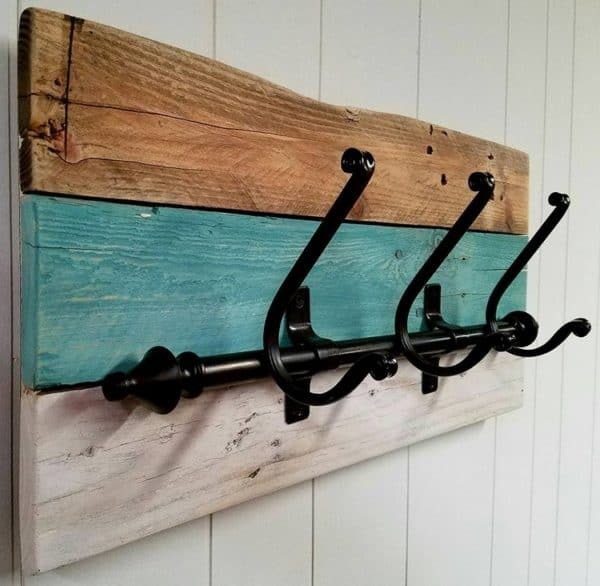 A beautiful, rustic pallet coat rack. Easy to make and definitely easy to look at! 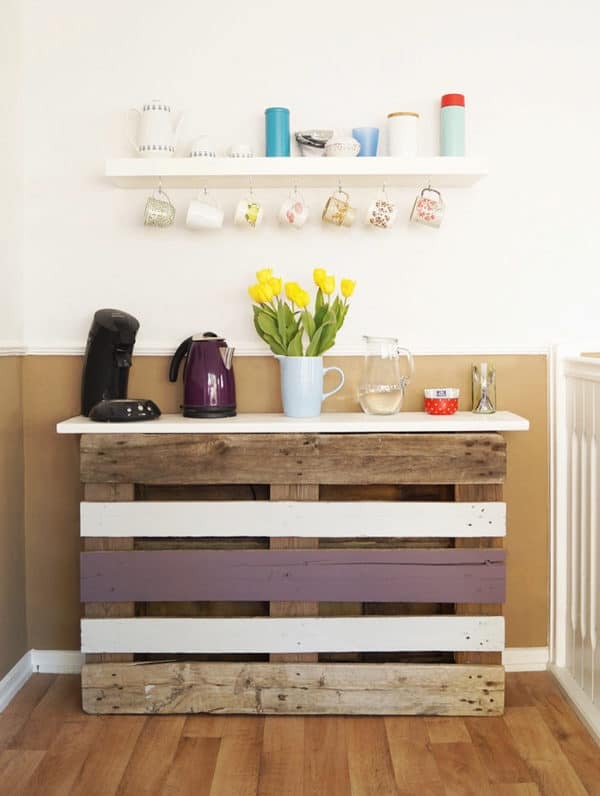 #4: Turn a pallet into a DIY Coffee Bar! Make a special place to rejuvenate in the morning. 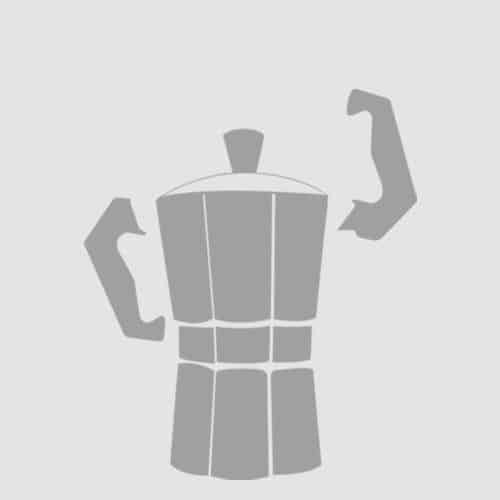 Build a super-easy DIY Pallet coffee bar and enjoy that java! 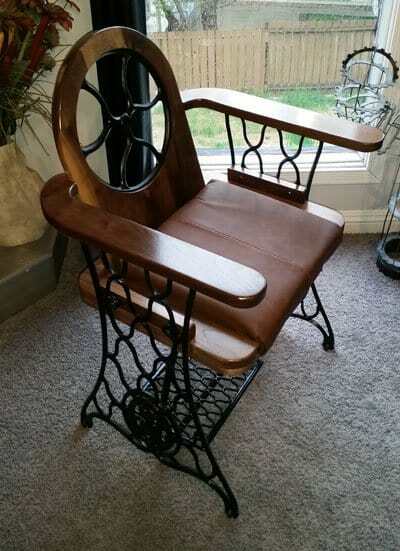 #5: Upcycle an old treadle base into a sewing machine chair! Simply lovely! If the sewing machine head unit is beyond repair, turn the treadle base into a unique chair any seamstress or tailor would appreciate.